For the second time in a month, a serious spasm of violence convulsed Sabaneta Prison in Maracaibo. The toll this time: 16 people dead. At the center of the violence is a major pran (prison gang boss) who’s known as “El Mocho Edwin”, who took uncontested power of the prison recently. In a garish Syrian twist, one of Edwin’s victims this week had his heart gouged out. Really. 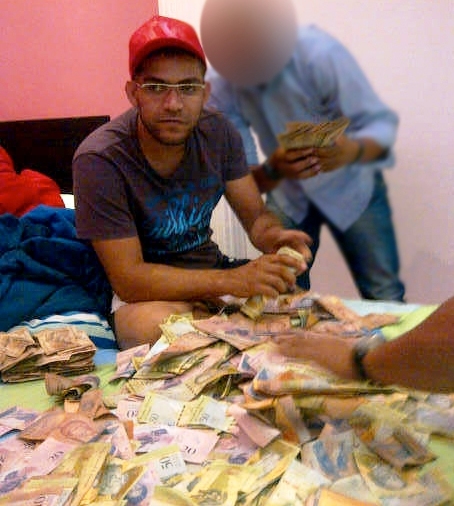 But 31-year old Edwin Soto not only controls Sabaneta, he’s also involved in extorsion and several murders. The reason behind the violence (which started on Monday) was Edwin’s move to consolidate his power inside Sabaneta as three other prans were named among the victims. According to this press report, he succeded in expanding his control of the prison’s premises. Meanwhile, relatives of the inmates desperately want to know the situation of their loved ones and they set out to put more pressure on the authorities by shutting down all vehicle traffic on the Puente sobre el Lago for five hours yesterday. With this new incident, Sabaneta Prison is now the most violent prison in Venezuela with 69 deaths this year by estimations of NGO Venezuelan Observatory of Prisons (OVP). But for those living next door, things like stray bullets have become part of their daily routine. Previous articleIs this the Big Deal the government's been waiting for?